We'll see the new version of Disney's Cinderella in theaters this March, and it's not the only animated princess flick getting the live-action treatment. Casting for Disney's live-action version of Beauty and the Beast is already underway, with Emma Watson securing the lead role as the book-obsessed soon-to-be princess. 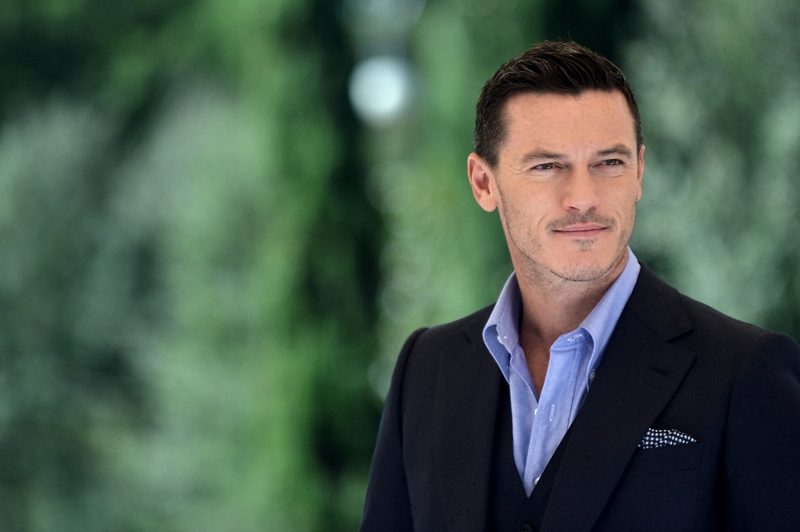 Now it seems that the film has cast Belle's nemesis — Variety reports that Luke Evans is in negotiations to play Gaston in the upcoming Beauty and the Beast. It's an exciting role for the actor, who recently appeared in The Hobbit: The Battle of the Five Armies and even portrayed another antagonist in Fast and Furious 6. Now the question is, how will the new film change Gaston's character from the 1991 animated movie? The character could use some work, and if the new Beauty and the Beast follows the new Cinderella , which made some key twists to that original fairytale, he might get a revamp. In Disney's animated version, Gaston is a "man's man" who likes working out, drinking beer, and conforming to gender roles. He also harasses Belle into going out with him, despite her repeated attempts to get him to back off. Toward the end of the film, the rejected Gaston is the one who leads the village people to the Beast's tower in order to murder him. Gaston is more annoying than downright cruel in the first half of the film, but his relentless pursuit of Belle was super predatory and creepy. A live-action version of the story would only highlight how so not OK Gaston's behavior was, and having it not played for laughs could give the story a much darker villain. Evans has played a real bad guy before — let's give him something to work with. Cartoon characters are far more impressed by someone's spitting prowess than real-life people are. (At least, I like to think so.) In this version, Gaston could hold a specific position of power in the town, which would give him more influence over the townspeople and their actions throughout the movie. You know the whole idea of a "wolf in sheep's clothing?" In the animated movie, Gaston was always sort of a wolf — he wore everything about him on his sleeve, including those ridiculously large biceps. In the live-action version Gaston's evil ways don't have to be so obvious to the audience right off the bat. Evans has the opportunity to play Gaston far more subtlety than any cartoon, and it's my hope that he creates a more complex villain than the animated film gave us. If this iconic film is going to be translated into live-action, let's make the characters as ground in real-life as possible.